Cold weather can be more than uncomfortable, it can be downright dangerous. When temperatures drop, keep a watchful eye on your pet—age, health, and exposure time can impact your pet’s ability to handle the cold. Here are some tips to keep your pet cozy and safe this winter. No one knows your pet quite like you do. As his protector, it is your responsibility to know his limitations. It may be necessary to limit time spent on walks or outdoor play sessions if he does not tolerate the cold temperatures well. If conditions are too severe, time outside should be reduced to bathroom breaks only. As a general rule, if it’s too cold for you, it’s too cold for him. Despite that luxurious fur coat, your pet may not always be warm enough during the winter months. 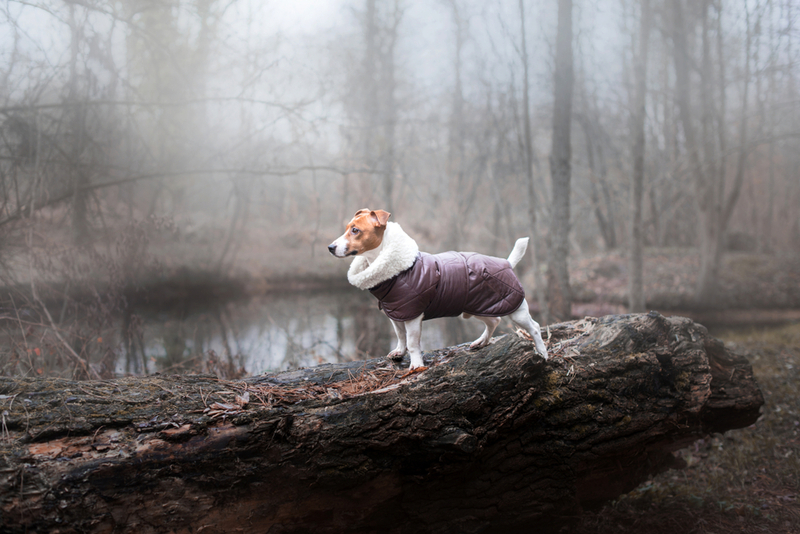 Certain breeds, such as Siberian huskies, have coats that can withstand longer times spent in cold temperatures, but other breeds may need an extra layer of protection—like a sweater or a coat—to help regulate their body temperature. Immediately remove the cold-weather accessories once inside to allow them to dry. No one wants to walk on slippery ice, so many people use a salt mixture to melt the ice and snow on the walkways that surround their homes and businesses. Unfortunately, some of these ice-melting salts can be toxic to your pet if ingested and can cause irritation and burns to the paws. When you come inside from a walk, be sure to wipe down your pet’s paws, and use only pet-friendly ice melts on your property. Cabin fever can affect people and pets. Don’t let boredom get the best of you; come up with new ways to play inside. 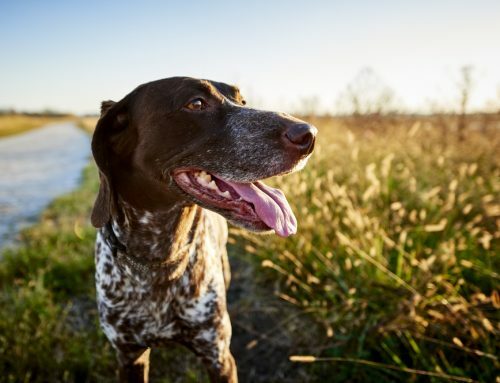 When you discover different ways to engage with your pet— invest in new interactive toys, laser pointers, or even start a game of hide and seek using treats—you will help keep her mentally and physically active. Bored pets are more likely to get into mischief. 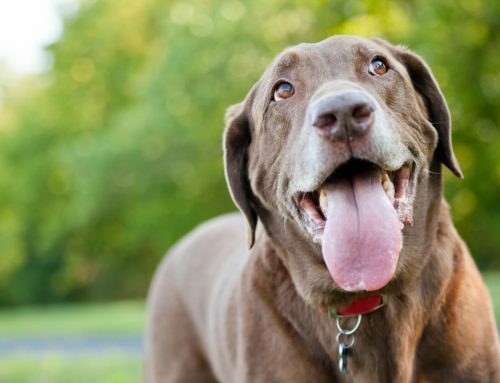 Toxins and potential hazards should be put away out of your pet’s reach to avoid any health emergencies. Keep antifreeze in the garage on a shelf your pet can’t reach, and immediately clean any spills that may occur. Household cleaners need to be sealed tightly, and plants should be inaccessible. Even if the plant itself is not toxic, the fertilizer or plant food may be. Alcohol and some foods, such as onions, grapes, and chocolate, are toxic and have potentially serious health consequences if ingested. All kinds of animals, including feral cats, may choose to use your vehicle’s engine as a heat source, not knowing the risks that come with sleeping there. Prior to turning on your car, check under the vehicle, look on top of all tires, and bang on the hood to scare any animals that need to find a new residence. Winter weather can be unpredictable. Between the snow, ice, and frigid temperatures, sometimes we are unable to leave our homes. Be prepared in the event this is ever your reality; stay stocked on your pet’s food and medication. For cat owners, make sure you have plenty of litter to keep those boxes full. In situations like this, it’s better to be over-prepared than left without. Questions about keeping your pet warm and safe this winter? Call our office.